Nico Hulkenberg had to abandon on lap 17 the Chinese GP for a new failure of this element that has also affected McLaren. "Hopefully we will soon solve the reliability problems and we can start to take advantage of those extra horses" . 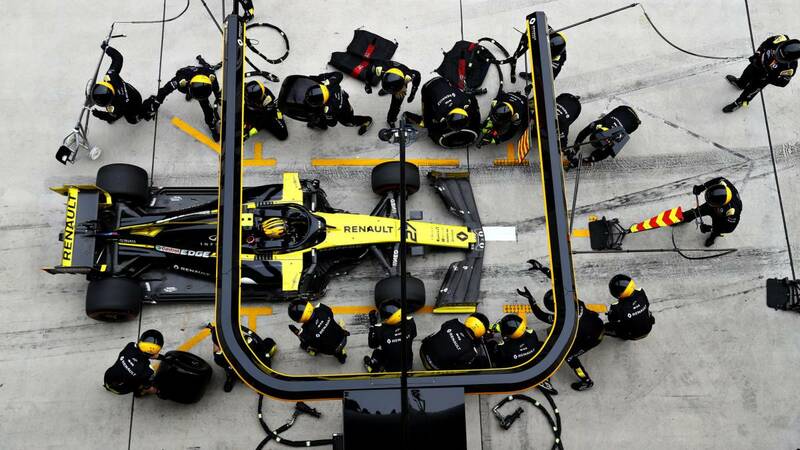 This was the request made by Carlos Sainz to Renault before Nico Hulkenberg had to leave the Chinese Grand Prix 2019 on lap 17 for a new problem with the MGU-K.
Because the Viry-Châtillon engineers are suffering in this start of the Formula One World Championship 2019 with this piece that transforma the kinetic energy of the braking in electricity and gives an extra power in the phase of acceleration. Questioned by this setback, Cyril Abiteboul assured in the press conference after the test in Shanghai, which hopes to solve this contrariety by modifying its software: "We believe that it is something that is outside the piece itself, we do not believe that the piece that Nico was using was damaged. We believe that it is a software problem, we believe that we need to change something in the software to deal with something that was changed in the hardware ". Cabe remember that Carlos Sainz, Lando Norris, Daniel Ricciardo and Hulkenberg have already mounted the second MGU-K that allows equipping the sports regulations without suffering a penalty A power jump that is costing reliability.